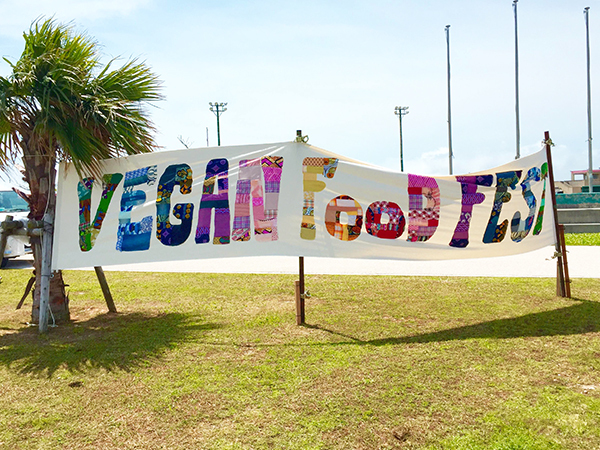 Held twice a year, the latest Okinawa Vegan Food Fest will be held during the day in Chatan. This is a great event for everyone, and you don’t have to be vegan to enjoy it! 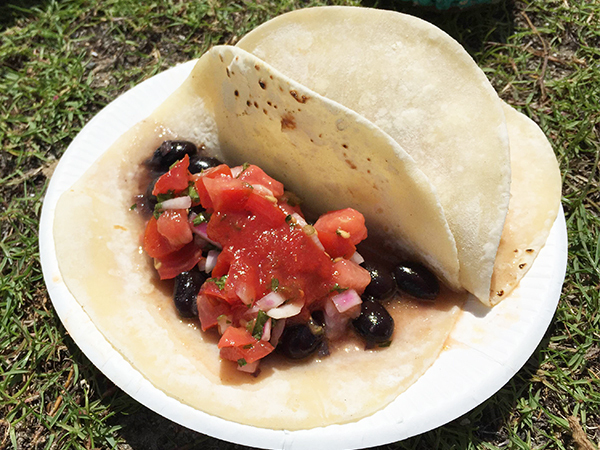 The Okinawa Vegan Food Fest was first held in spring of 2016 with a spotlight on, you guessed it, vegan cuisine. 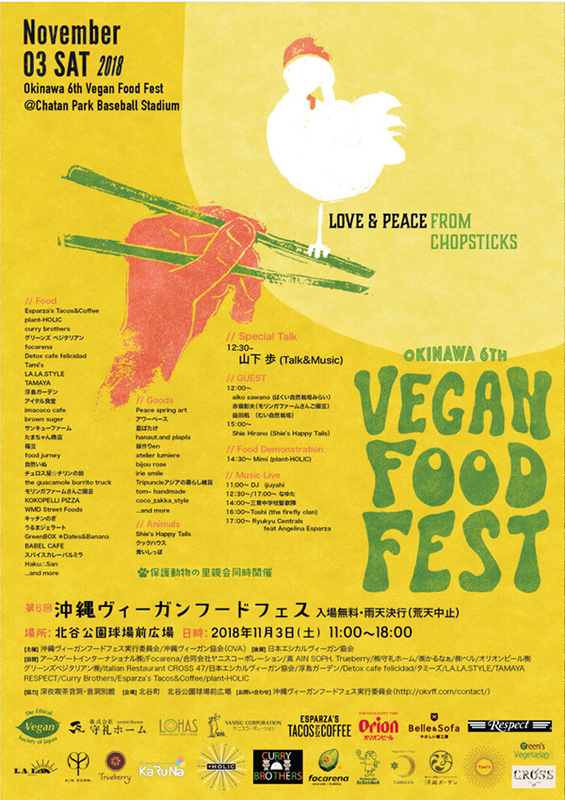 Since then, more and more people gather for this event that sees over 50 booths set up by vegan cafes, restaurants, and catering companies from Okinawa and beyond. The food offered are 100% vegan, and you’ll also find booths selling various goods created without any materials from animals, like furs, leather, silk, etc. At the Festival on Saturday, you’ll find vegan lunch boxes with lots of local vegetables, vegan cheeseburgers that’s amazing in appearance and taste, falafel and veggies in pita bread, vegan cakes, very Okinawan vegan sweets using taro potatoes, as well as a variety of fresh, organic vegetables. There are also pottery booths that sell unique pieces created by the artists. Enjoy the sights and foods as you groove to the music from the DJ booth and the stage. Also at the Festival is an area especially dedicated for animals in desperate need of a good home. The animals brought to the festival have been rescued by volunteers to prevent them from being killed. This is a very important theme of the event, to save the animals, so stop by and meet the furry friends who you might want to welcome as family. Come join in on the fun with great music, delicious foods, interesting things to see, and the wonderful animals that need a family. See you there!